What’s the Difference between Ricon Mobility Lifts? 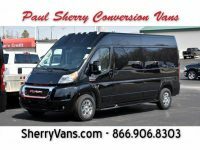 When it comes time to customize your mobility van, you will need to consider which type of lift best meets your needs. 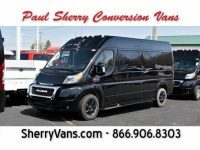 The vans from Paul Sherry Conversion Vans mostly use Ricon lifts, where are known for their versatility and reliability. There are four main lifts from Ricon. By learning more about them, you will be better informed and ready to make an educated decision as to which one you want for your van. While they all share numerous features, they are fairly different, making the decision a bit more challenging. Remember that regardless of the lift you choose, all were designed for DOT Public Use vehicles, meaning they comply with the official regulations. The Clearway wheelchair lift relies on a fully automatic split platform with a unique design. This platform folds up and then moves out of the way when you press the relevant button, giving you clear access to the doorway. The lift is very simple and convenient to operate. Entry and exit are secure and quick thanks to the hydraulic pump and steel frame. This lift is combined with remote controls and power door operators so the system provides independence to those with mobility restrictions. There is also a manual backup system. You will notice handrails along the all-steel frame to increase security and comfort. The nonskid platform is highly stable and has automatic roll stops both inboard and outboard. This particular Ricon mobility lift has a five-year limited warranty, and the bearings at the major pivot points are pre-lubricated to extend its service life. The finish is a polyester powdercoat with high gloss, helping resist corrosion, as well. If you are familiar with the Ricon S-Series technology, you already have a reasonable idea of what the K-Series KlearVue lift offers. It has a unique platform that folds and creates an unobstructed view within the vehicle, making the ride more pleasant for passengers and increasing visibility for the driver. You can barely see the lift from the outside of the van. This lift can handle up to 363 kilograms or 800 pounds. Its unique design allows it to accommodate a longer platform without having to raise the doors or roof. It also has a five-year limited warranty and automatic roll stops. The main advantage of this one is the limited blind spots. Like the other models, the Reliant mobility lift from Ricon has a five-year limited warranty and a manual backup system. The steel frame is welded securely to provide durability, and the bearings at the major pivot points are no-lube and permanent. The platform is nonskid for stability, and there are the familiar automatic roll stops inboard and outboard. This product is easy to maintain and uses the Sto-Loc design that securely locks the lift platform once in its stowed position to prevent noise while driving. The Uni-Lite mobility lifts also have the five-year limited warranty, but they stand out with their lightweight design. They are among the quietest and smoothest lifts in the world thanks to their aluminum-alloy construction. The lift only weighs 160 pounds but can lift 600, and it is electric. The electric motor is powerful yet quiet and smooth, and the lift can be adjusted to fit the majority of doors. The compact design features a large platform and powered roll stop, including a mechanical latch. For help choosing a Ricon mobility lift for your wheelchair van, talk to the team at Paul Sherry Conversion Vans.